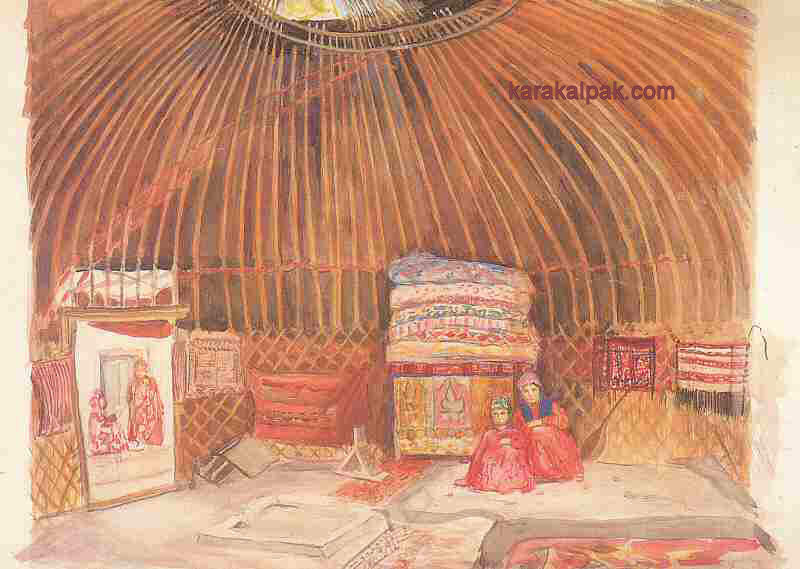 "On this occasion our party found shelter in a kibitka, which was carried bodily across a swollen stream to us, by a dozen brawny Karakalpaks, whose heads only showed above the surface of the water. Of all temporary habitations which are welcomed by the weather-worn traveller, none can come up to a kibitka for snugness and for comfort. Sheltered behind its felt-covered walls from the howling wind outside, and basking in the flames of the fire, whose wreaths of smoke rise gracefully to the opening in the roof, the dreariness of the desert is forgotten, and fatigue soon passes, as, wrapped up in lambskins, one blesses with honest Sancho, the man who first invented sleep." 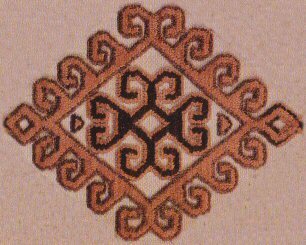 Image courtesy of the Karakalpak State Museum of Art, No'kis. 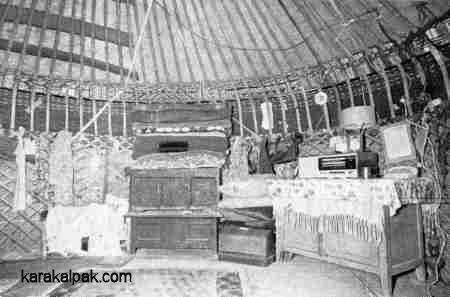 Karakalpak yurt interior at Qazaqdarya in 1975. Note the electricity supply, radio, table lamp, and sewing machine. 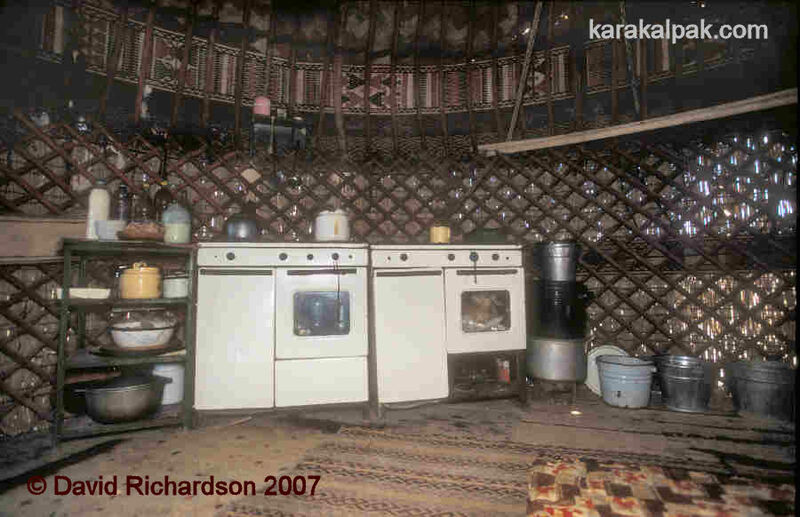 A complete kitchen installed inside a Karakalpak yurt at Bozataw in 2004. 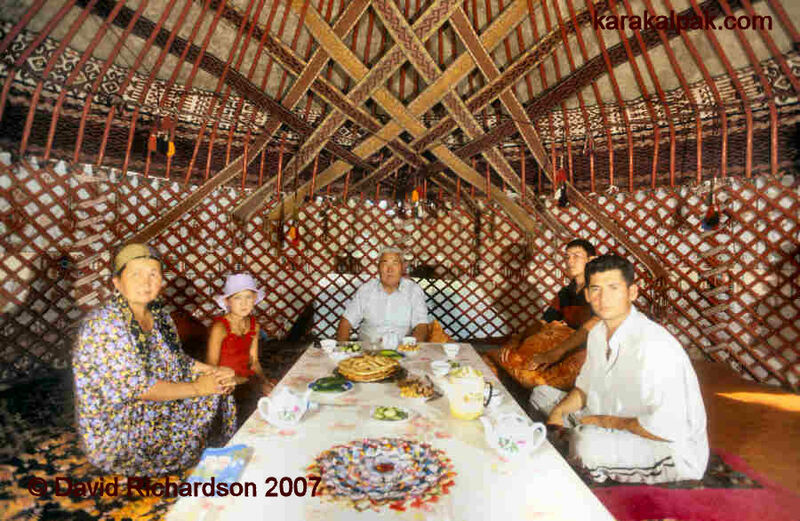 Family of a retired Karakalpak sovxoz director taking afternoon tea inside their yurt.